When Paul and his companions went from Troas into Macedonia on his second preaching journey, they went ashore at Neapolis (modern Kavalla, Greece), and continued to Philippi. Luke remained at Philippi while Paul, Silas and Timothy followed the Egnatian Way to Thessalonica. There is no indication of any preaching done in Amphipolis and Appollonia. In fact, the reference to the cities barely attracts notice. Amphipolis was situated about 30 miles west of Philippi on the Via Egnatia. 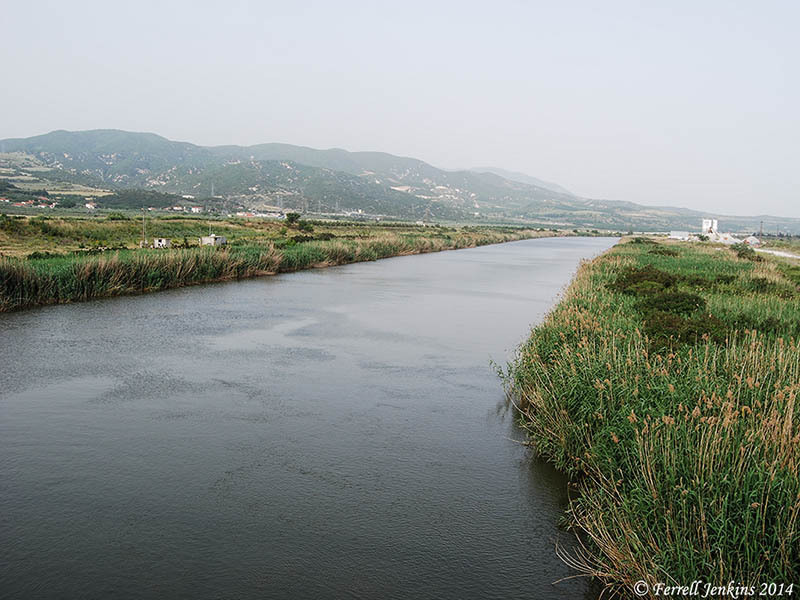 The River Strymon runs past Amphipolis and continues for about 3 1/2 miles south where it flows into the Aegean Sea. The River Strymon at Amphipolis. Photo by Ferrell Jenkins. Prized by the Athenians and Macedonians as the key both to the gold, silver and timber of Mt Pangaeus and also to the control of the Dardanelles, it became under the Romans a free town and the capital of the first district of Macedonia. Amphipolis is about 50 km WSW of Philippi on the Via Egnatia, a great Roman highway, and Paul passed through it on his way to Thessalonica (Acts 17:1). The city is somewhat difficult to reach and there is little to be seen. The most impressive ruin is a reconstructed lion dating to the 4th century B.C. standing along the highway. 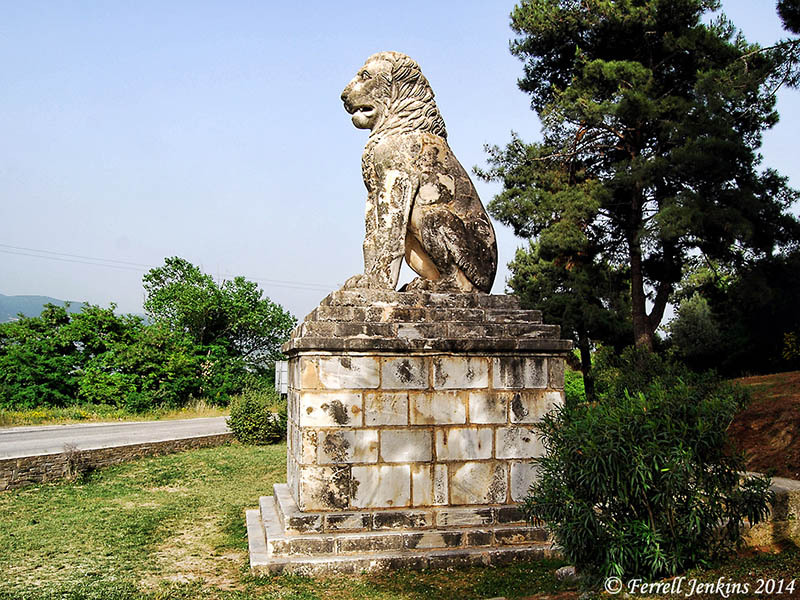 The Lion of Amphipolis from the 4th century B.C. Photo by Ferrell Jenkins. New excavations recently have uncovered what may turn out to be an impressive tomb from the 4th century B.C. More about that in a post to follow. This entry was posted in Bible Lands, Bible Places, Bible Study, Book of Acts, Greece, New Testament, Photography, Travel and tagged Apostle Paul. Bookmark the permalink. Looking forward to hearing more about the excavations near Amphipolis. I have seen a few articles, but would love to see more.